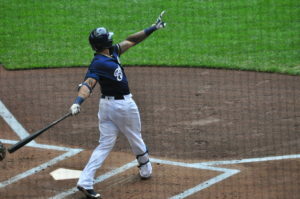 Eric Thames clubs a game winning 2-run home run. For the second straight day, Eric Thames clubbed a two-run homer to lead the Milwaukee Brewers to a 2-0 victory over the Cincinnati Reds at Miller Park. It was the team leading seventh of the season for Thames. He has now homered in 12 of 19 games against Cincinnati since the start of last season. Thames has also increased his April home run total to 18 over the past two seasons, most in the majors. Zach Davies, Dan Jennings and Jacob Barnes combined to blank the Reds on three hits for the second straight day. Davies (1-2) went 6 1/3 innings to win for the first time this season. The Brewers pitching helped them overcome a defense that committed three errors, which ties a season high. Christian Yelich returned to the lineup for the Brewers. He went 1 for 2 with a pair of walks. Jacob Barnes pitched the final two innings for the save, his second of the season. The Brewers open a four-game series against the Miami Marlins tonight. Chase Anderson (1-1, 2.82) gets the start for the Brewers. Miami goes with Dillon Peters (2-1, 6.75). Domingo Santana clubbed two home runs to lead the Milwaukee Brewers to a 7-2 win over the Washington Nationals at Miller Park on Sunday. 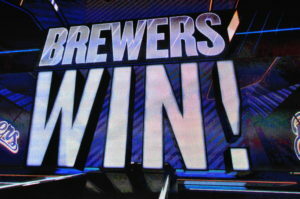 Left-hander Brent Suter pitched three shutout innings and was followed out of the bullpen by Jeremy Jeffress, Jacob Barnes, Anthony Swarzak and Junior Guerra as the Brewers grabbed 3 of 4 in the series and finished their home stand with a 4-2 record. Washington didn’t score until the ninth inning when Ryan Zimmerman clubbed a two-out, two-run homer off of Guerra. Suter and company filled in for Matt Garza, who was passed over for his start on Sunday. Santana’s home runs came in the second and fourth innings and gives him a career high 24. He hit just 11 last season. The Brewers now have 195 home runs for the season, surpassing last season’s total for eighth-most in franchise history. The Brewers moved a game closer to the division leading Cubs, now 3 1/2 games back. But even more important, the Brewers are just a half-game behind Colorado for the 2nd and final National League wild card spot. The Brewers now open a 3-game series in Cincinnati against the Reds this afternoon (12:10). Chase Anderson (8-3, 2.96) pitches for the Brewers. Homer Bailey (4-7, 7.51) gets the call for the Reds. When the Brewers don’t hit home runs, they usually struggle to win. They finally got their first long ball of the series, a solo shot by Stephen Vogt in the 9th inning, but it wasn’t enough to prevent a 4-2 loss to the Giants in San Francisco. The Brewers dropped two of three in the series and fell 3 1/2 games behind the division leading Chicago Cubs in the Central. The Brewers are 3-3 on their nine-game road trip and will open a three game series against the Dodgers in Los Angeles on Friday night. 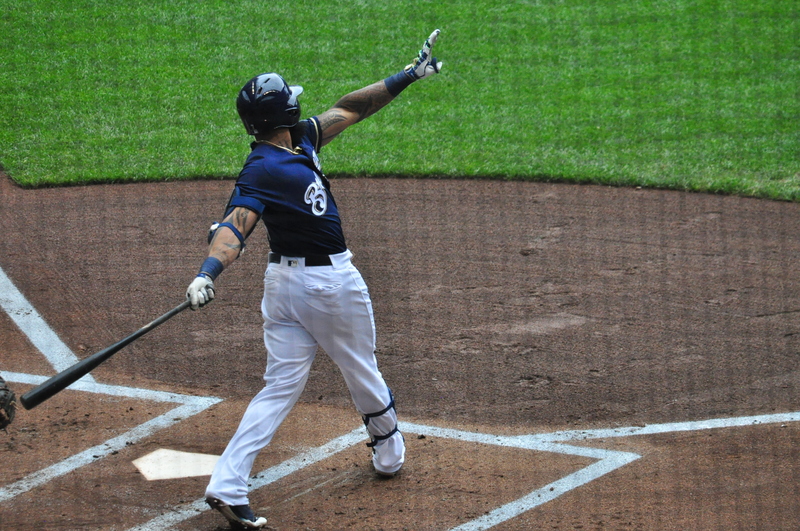 Travis Shaw drove in the Brewers first run in the first with a double. But Shaw would later foul a pitch off of his foot in the ninth inning. Xrays performed after the game were negative and Shaw is listed as day to day. The Giants snapped a 1-1 tie in the seventh on Jarrett parker’s two-out, check-swing double off of Brewers reliever Jacob Barnes. Matt Garza allowed a single run in the first inning while pitching out of a bases-loaded, no-out jam. That is all he would allow in five innings. The Brewers will send Chase Anderson to the mound against the Dodgers in game one of the series on Friday night. Anderson is 7-2 with a 2.83 ERA. The Dodgers will counter with Kenta Maeda (11-5, 3.88). On Friday and Saturday, the Milwaukee Brewers offense did just enough to win. On Sunday, that minimal offensive effort wasn’t enough, falling to the Tampa Bay Rays 2-1 in the series finale at Tropicana Field. The Brewers managed just six hits and the only run came on Orlando Arcia’s sixth-inning home run. The Brewers finished the game going 0-for-8 with runners in scoring position. Jimmy Nelson tossed eight strong innings, allowing only a single run. Tampa Bay’s Steven Souza, Jr. clubbed the second pitch from reliever Jacob Barnes in the ninth over the outfield wall, giving the Rays a walk-off victory. It’s the first walk-off win via a home run for the Rays dating back to May 22, 2014, the longest such streak in the majors. 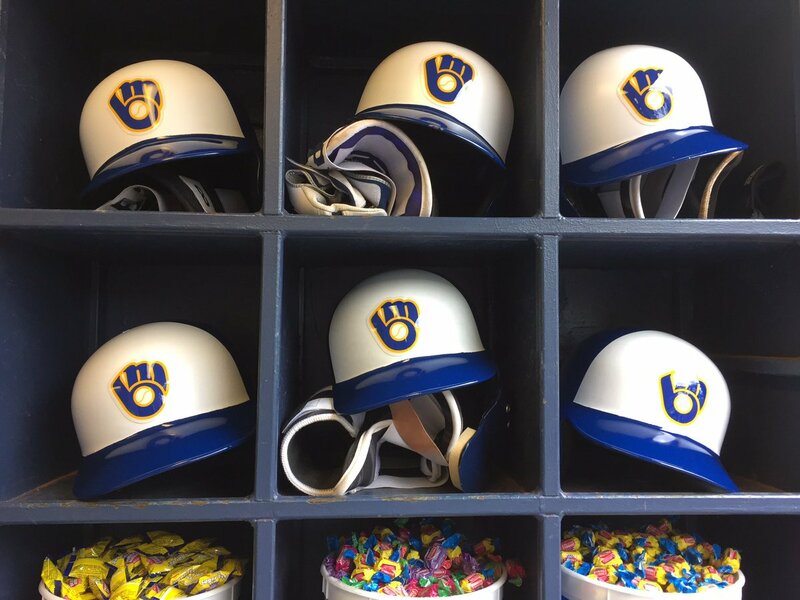 The Milwaukee Brewers finally won a series from the St. Louis Cardinals, taking two of three with a 2-1 win at Miller Park on Thursday. Prior to Thursday, the Cardinals had won 13 straight series at Miller Park dating to July 2012. 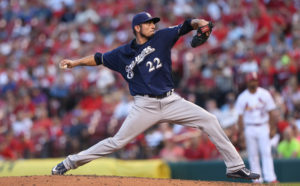 Matt Garza, who came off the disabled list after recovering from a lower leg strain, allowed just one run over 5 2/3 innings to pick up the win. Jacob Barnes, Anthony Swarzak and Corey Knebel, who notched his 20th save, finished up for the Brewers. Garza allowed Greg Garcia’s RBI single in the fifth inning, one of only four hits he allowed on the day. 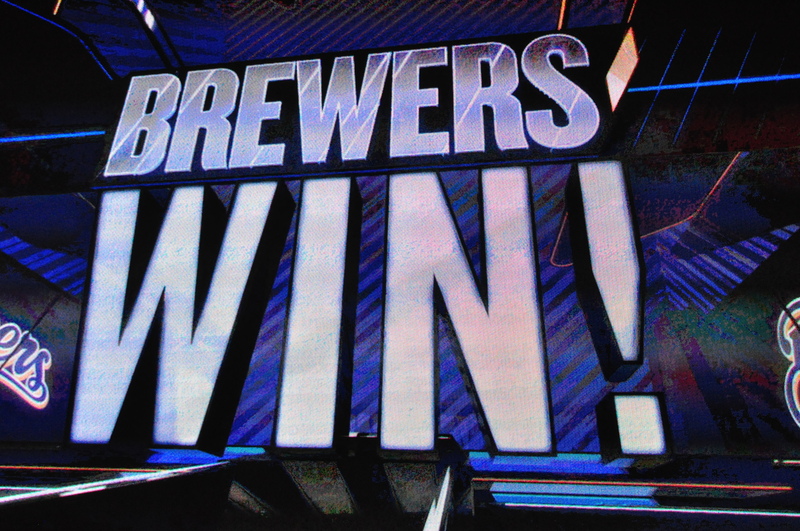 That tied the game 1-1, but the Brewers bounced back in the bottom half to retake the lead, collecting three straight two-out singles from Travis Shaw, Hernan Perez and Keon Broxton to put the Brewers on top for good. 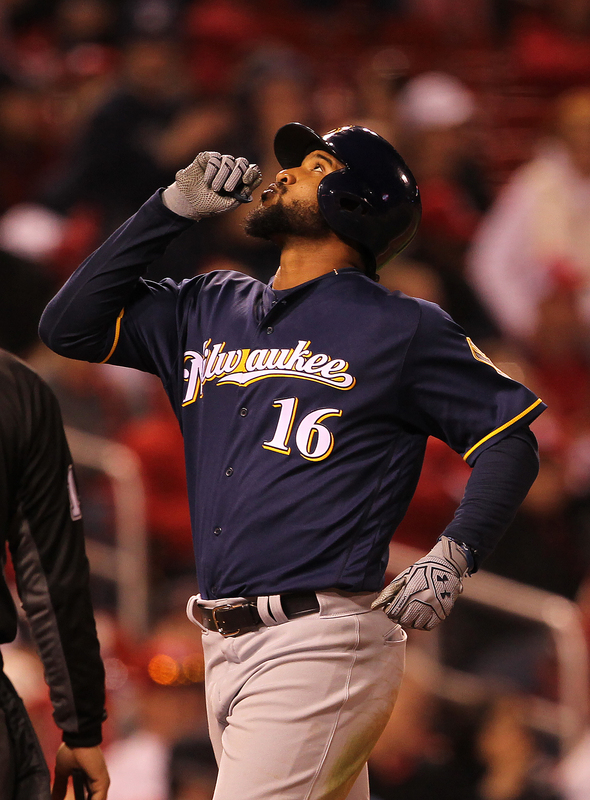 The Milwaukee Brewers scored three runs in the first inning and made them stand in a 3-2 victory over the St. Louis Cardinals in the series opener at Miller Park on Tuesday night. It’s just the fourth win in the last 15 games for the Brewers, who remain 2 1/2 games behind the division leading Chicago Cubs, who also won last night (16-4 over Arizona). Jimmy Nelson (9-5) pitched six solid innings, allowing two runs on six hits while walking one and striking out seven to earn the victory. It is the first time Nelson has beaten the Cardinals in 11 starts and 12 career appearances. Nelson had entered the game 0-8 against St. Louis lifetime with a 7.01 ERA. Nelson picked up his 13th quality start this season, matching his career high in 30-plus starts in each of the last two seasons. Jacob Barnes pitched a 1-2-3 seventh inning and after Josh Hader walked Matt Carpenter to start the eighth, Anthony Swarzak came on to strike out the next three hitters. Corey Knebel pitched the ninth and earned his 19th save of the season. The Brewers ended a 0-for-33 slump with runners in scoring position when Domingo Santana’s delivered an RBI single in the first. Game two of the series is Wednesday night. Brent Suter (2-1, 2.40) gets the start for the Brewers. Luke Weaver (0-1, 4.50) will start for the Cardinals. The Washington Nationals scored seven runs in the 8th inning, coming from behind to knock off the Milwaukee Brewers 8-5 on Wednesday night. The Brewers suffered their seventh loss in nine games on their current three-city road trip and fell a half game behind the Chicago Cubs for first place in the National League Central Division. The Brewers bullpen suffered its 26th loss of the season, failing to protect the lead for starter Jimmy Nelson. Nelson allowed two runs in seven innings but wasn’t involved in the decision. He walked only one and struck out 10. The loss goes to Jacob Barnes, who got two ground balls, but both found holes to drive in runs. Josh Hader came on to strike out Bryce Harper and Craig Counsell then went to Jared Hughes to face Ryan Zimmerman. Not only did Zimmerman deliver a run scoring hit, Hughes coughed up four runs on four hits before finally retiring the Nationals. Domingo Santana and rookie Lewis Brinson both delivered long home runs in the loss. Brinson’s was the first of his major league career. The final game of the series gets underway at 11:05 a.m. this morning. Michael Blazek (0-0, 0.00) makes his first start for the Brewers. Max Scherzer (11-5, 2.26) goes for Washington. Blazek starts in place of Matt Garza, who was placed on the 10-day disabled list with a calf strain. The Brewers also officially announced their trade with the White Sox, acquiring Anthony Swarzak for outfielder Ryan Cordell. Swarzak didn’t arrive in time for last night’s game but he’ll be in uniform today. To make room on the roster for Swarzak, the Brewers sent Brett Phillips back to the minors.